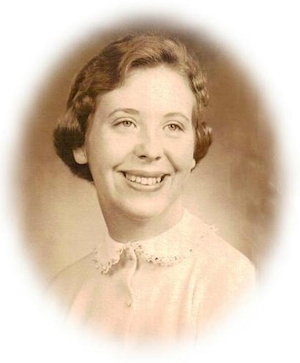 Obituary – Dechant, Freda Mae (Stanislav) « Perry High School Alumni Association, Inc. Annual Staff 54-56, Annual Assistant Editor 54-55, Annual Editor 55-56, Girls’ State 55, Student Council 54-56, Student Council Vice President 55-56, Basketball Queen Attendant 54-56, Band Queen Manager 53-55, Football Queen Manager 54-56, Band 54-56, Pep Club 53-54, Pep Club Treasurer 53-54, Office Staff 53-54, Sophomore Class Treasurer 53-54, Junior Class Secretary 54-55, Class Assemblies 53-54, F.T.A. 54-56, Junior Play 54-55, Annual Play 54-55, All School Revue 54-56, Home Room Secretary 53-54. Freda Mae Stanislav Dechant, dearly loved, passed from this life into the arms of her Lord and Savior, Jesus Christ and eternal life on Saturday, June 5, 2010, in Coral Springs, Florida. Freda was born in Perry, Oklahoma, on November 24, 1938, to Iva Mae Dayton Stanislav and Louis Charles Stanislav. She was preceded in death by her parents, Louis Iva Stanislav, and father of her children, Paul Dechant. Freda is survived by sons, Robert Dechant and wife, Hana, Hollywood, Florida Troy Dechant and wife, Joey, The Colony, Texas daughter Angel Greenhill of Lindsay, OK, grandchildren Brandon Jeffrey Dechant Dominic, Christopher, and Layne Dechant Jonathan Burton, Ty and T. J. Greenhill three greatgrandchildren brother, Jerry Stanislav and wife, Binnie of Oklahoma City cousins Diana Noteware Claudine VanBebber of Perry Lorne Dayton of Colorado Bob and Joan Feken of Ponca City, other relatives and many friends. Freda grew up in Perry, graduated from PHS in 1956, and from OU in 1960 with a B. S. degree in Education. She taught in Public Schools in Wichita, Kansas Denver, Colorado and in Norman, Oklahoma City, Prague, and Moore, Ok. In 1990-2000 Freda managed Cimarron Apartments in Shawnee, Ok. She moved to Moore in 2000 and completed her teaching career at Plaza Towers and Kelly Elementary before retiring in 2004. A tender hearted and dedicated teacher, Freda was loved and admired by her students and fellow teachers. Always creative, she went to extra lengths to prepare her class room each year. A devoted Christian, Freda was a member of St. Andrews Catholic Church in Moore and active in the Breast Cancer Support group led by Nurse Carol Prati, before moving to Florida in 2004. A memorial service will be held at BrownDugger Funeral Home Chapel in Perry, Oklahoma, on Saturday, June 19, 2010 at 1:00 p.m. Services are under the direction of BrownDugger Funeral Home.